“Maybe others had the patience for durations like the Hundred-Years War or the down-sized Thirty-Years one, but for His holy people back on their Promised Land, He would deal an appropriate Six-Day War. “Granted, even the Sinai Campaign in 1956 ended in a jiffy. Israel swept all the way over the Sinai to the eastern bank of the Suez Canal and crushed Nasser’s legions in all of less than ninety hours. And of course the Sinai War had to precede the Six-Day War – it had to go according to the sequence of the Bible, though then it required us forty years to cross the desert before entering the Land of Israel. See, the Torah isn’t what was a long time ago. It’s today’s news and what’s expected – the forecast for tomorrow – plus gives you the WHY it happened factor too. “So look at the Six-Day War. This was the war by which we took back all of our holy cities and sites within the Land of Israel, after almost two thousand years: Jerusalem, Hebron, Tiberias, Tzfat, and the shrines of Rachel in Bethlehem and Joseph in Shechem. 7:46 a.m. – The Israeli Air Force attacks the Egyptian air field in the Sinai and within two hours destroys 450 enemy planes. 8:15 a.m. – Israeli “Tal” Division breaks through into southern Gaza Strip. 10:15 a.m. – Brigade 7 makes it to Khan Unis and the Rafiah area. 7 p.m. – They make it to El Arish. 1 p.m. – Israel captures Gaza. 4 p.m. – Israel captures Ras El Nakeb. 6:30 p.m. – Israel captures the Jabel Nazri Junction. 8 p.m. – The Egyptian Army accepts an order to retreat. In two days this front is over. 9:45 – Jordan bombs Jerusalem and the central part of Israel. 12 noon – Iraqi and Jordanian planes attack Israel. 12:25 – Israel begins its response. 1 p.m. – Jordan attacks Armon HaNatziv in Jerusalem. 3 p.m. – Israel attacks the H3 airfield in Iraq. 3:30 p.m. – Israel takes back Armon HaNatziv. 7:30 p.m. – Jordanian artillery bombard Tel Aviv. 3 a.m. – Israel captures Latrun. 6:15 a.m. – Israeli Paratroop Brigade 55 captures Givat HaTachmoshet in northeast Jerusalem. 8 a.m. – Israel completes its capture of north Jerusalem. 10 a.m. – Israel captures Givat HaMivtar. 1 p.m. – Israel completes its capture of Jenin. 5 p.m. – Israel completes its capture of Shechem and the tomb of Joseph. 5:20 p.m. – Israel completes its capture of Kalkilia. 7 p.m. – Israel completes its capture of Ramallah. Midnight – the Jordan Army accepts an order to retreat. 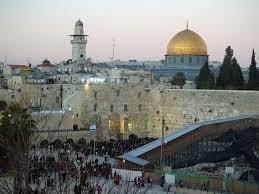 10 a.m. – Israel enters the Old City of Jerusalem. 10:15 a.m. – Israel takes the Temple Mount. 1 p.m. – Israel completes its capture of Tul Karem. 12 noon – simultaneously – the Tul Karem battle is over and Israeli forces receive orders to capture Gush Etzion. 6 p.m. – Israel captures Gush Etzion. 7:30 p.m. – Israel captures Jericho. 6 a.m. – Israeli forces receive orders to capture Hebron. 1 p.m. – the war is over! 7:20 a.m. – Israeli Defense Minister orders to open attack on the Golan Heights. 11:30 a.m. – Brigade 8 begins the attack. 6:30 p.m. – Cease fire! “The timetable of the war was more like a highly-structured, well-organized, six-day crash corporate seminar itinerary. It’s along the mindset and attitude of ‘Hey, honey, let’s cram this thing tight enough so we can all be home for Shabbos, okay.’ Really, with an itinerary like that, you’d think it was a convention being held at some big fancy hotel. All that was missing from the agenda, if at all, were entries for mid-morning refreshments and a buffet lunch – and served on a silver platter no less. Even the Pentagon at the time declared that from a military history point of view, nothing at all could be learned from this war, because it was, in its entirety – a miracle. Should Ivanka and Jared have flown on Shabbat?